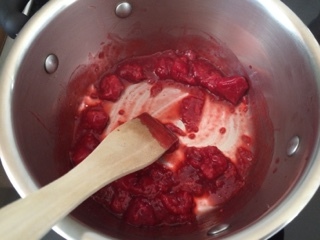 1.Make the sauce, In a medium sauce pan, stir together the frozen raspberries and lemon juice over medium heat, boil for about 2 minutes, remove from heat; set aside. 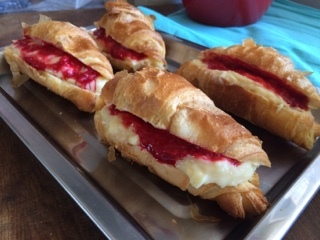 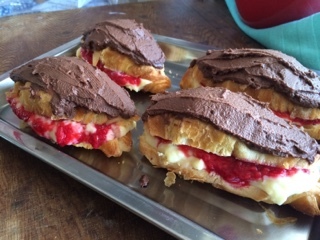 2.Fill the croissants with 1 1/2 tbsp pastry cream and 2 tsp raspberrie sauce. 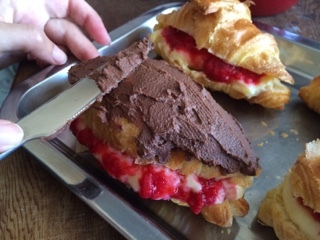 3.Spread the croissants with chocolate ganache, place in refrigerator before serving.